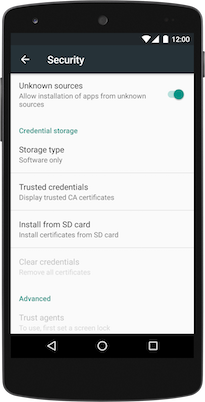 On your device navigate to "Settings"
Enable "Allow installation of apps from unknown sources"
It is completely safe. 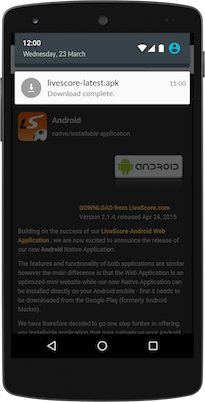 The app is located and maintained on our own servers. Therefore we guarantee that it does not contain anything harmful or dangerous to your device. 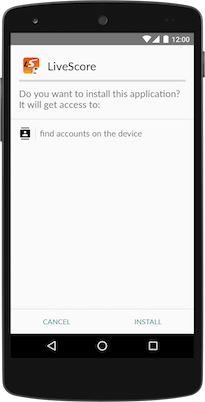 The app will automatically download to your device. 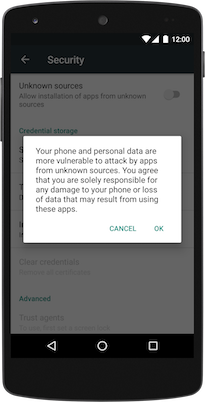 In case you see a warning that 'the content may damage your device', click OK. We promise that our app won't harm your device. You will find the downloaded app in the "Notifications" or in the (Downloaded) "Files" folder. Click on it, choose to "Install" the app and confirm. The world’s leading live score service for soccer, cricket, tennis, basketball and hockey directly to your Android device. 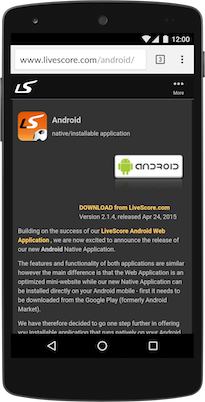 Download the LiveScore app to your Android device to keep up with live scores for soccer cricket, tennis, basketball and hockey. 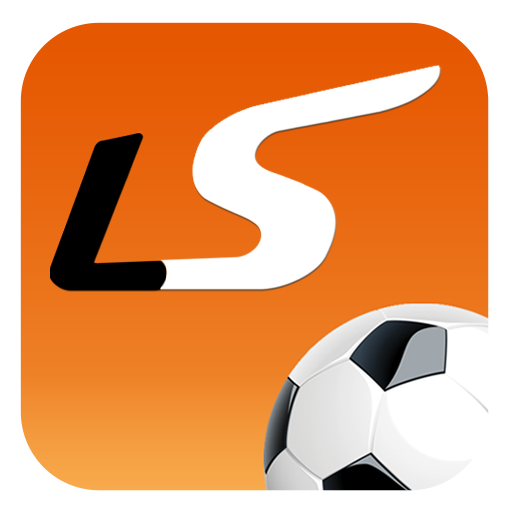 Available as a LiveScore app free download, use the Android LiveScore app for up-to-date scores, fixtures, results and statistics directly to your mobile.